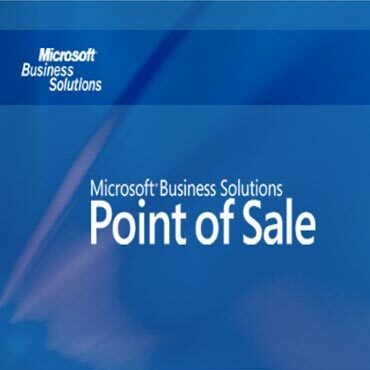 Microsoft Business Solutions Point of Sale provides an easy-to-use application to track sales, inventory and customer information. Designed to replace a cash register, Microsoft Point Of Sale saves time and money, automating single-store retail operations at an affordable price. Microsoft Dynamics Point of Sale works with the Microsoft Office System and integrates with QuickBooks Accounting Software to streamline store operations. Retailers can use Microsoft Dynamics Point of Sale out-of-the-box with existing PCs and POS receipt printers, cash drawers, and other POS peripherals. With Microsoft Point of Sale, you can effectively manage inventory and reduce manual and double-entry processes, as well as integrate critical information from credit and debit card transactions to accounting software. Using Microsoft Point of Sale with Windows Server 2003 requires Windows Server 2003 Service Pack 1 (SP1), which provides enhanced security, increased reliability, and simplified administration to help enterprise customers across all industries. See www.microsoft.com/windowsserversystem for more information. 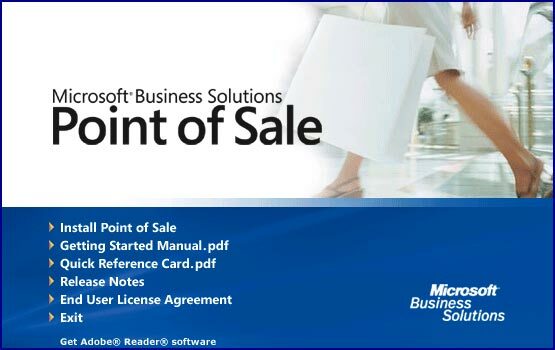 Microsoft Point of Sale supports Microsoft Windows XP Home Edition for single-computer installations. In multiple-computer installations, the first (server) installation requires Microsoft Windows XP Professional or Microsoft Windows Server 2003. Additional (client) installations can use Microsoft Windows XP Home Edition.